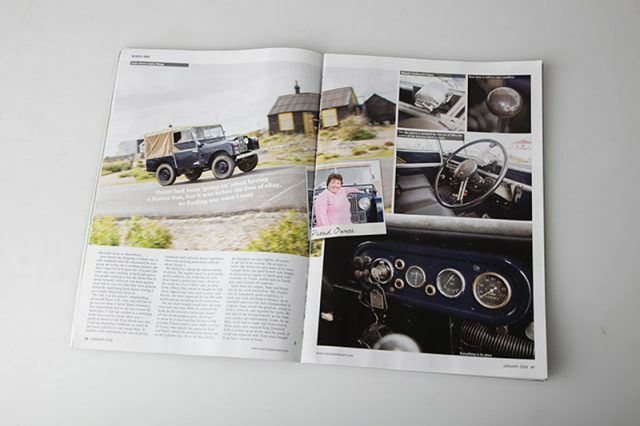 December 2017: A recent photo shoot of a much loved 1952 80 inch Series One Land Rover is featured in the current issue of Classic Land Rover magazine. The photo shoot took place in Dungeness, Kent. The vehicle is a fine example of a vintage Land Rover Series 1, mostly original. The owner has chosen to paint the vehicle in a purple/blue colour which suits it well. 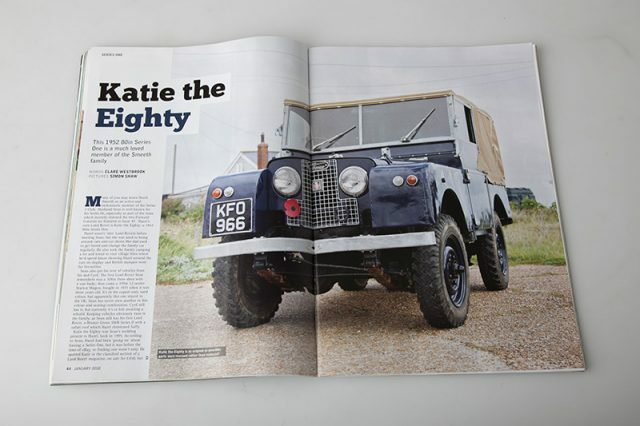 The vehicle got her name ‘Katie the Eighty’ as it’s an 80 inch wheel base. The setting was full of photographic opportunities – from beach shacks to a power station. Light was constantly changing throughout the day, which was good as it added variety to the photos. 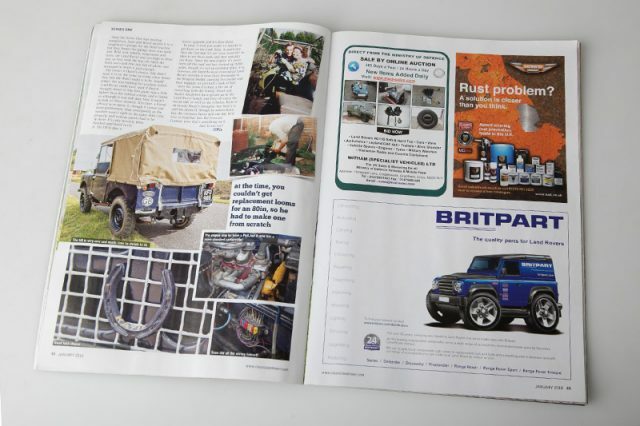 I have taken a couple of other photo shoots of Land Rovers and look forward to seeing them in future issues of Classic Land Rover magazine.